Attorney Ed Salanga is a busy man. A Chandler resident for more than a decade, the husband and father of two balances a successful law career, family obligations and an impressive track record of giving back to the local community in a variety of capacities. 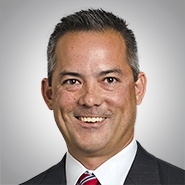 Salanga is a partner at Phoenix law firm Quarles & Brady and the co-chairman of the Arizona Bar Association’s expert witness committee. When not on the case, he’s the president of the Chandler Industrial Development Authority (CIDA), where he spearheads the Chandler Collateral Assistance Program (CCAP).